Not so long ago, hosting your code on the cloud almost always meant that you used Github. Teams were fairly standardized in their choice of git provider. This is no longer true. 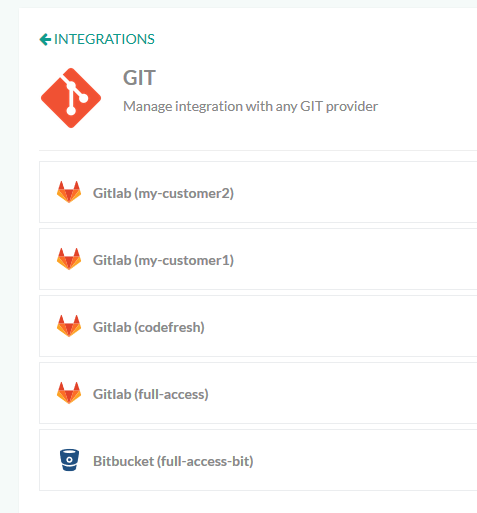 Several other solutions are now challenging Github, including Bitbucket and Gitlab. Moreover, several companies have chosen to actually host their code on-premises creating even more combinations of where your code is stored versus where it is built. The ability to add multiple GIT providers in the same Codefresh account, regardless of the initial provider used for sign-up. 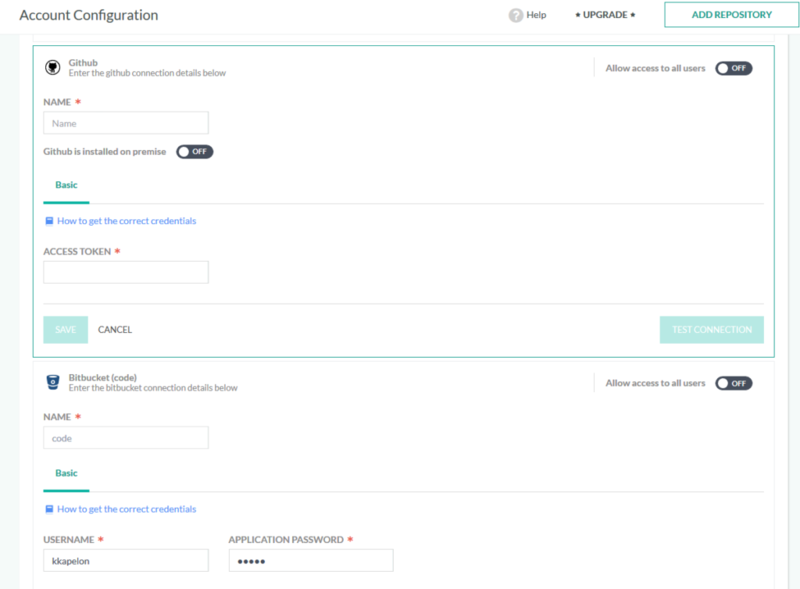 The killer new feature unique to Codefresh is that you can add the same providers multiple times, each with its own respective account and scope of privileges. A lot of consultants choose Codefresh for their CI/CD solution, and in the past, customers who used different GIT providers would have to create multiple Codefresh accounts. With the new GIT integration, working with multiple accounts on the same GIT provider is a breeze. Each provider account can use a token with different security scopes giving you fine-grained security control over what Codefresh can do. Now, adding a new project in Codefresh is a straightforward process regardless of the location of the source code. In a single Codefresh account you can mix and match projects from SAAS and hosted locations from multiple GIT providers. In the coming weeks, GIT support in Codefresh will be improved even more by adding OAuth support for those providers that support it, and allowing the creation of standalone Codefresh accounts without being linked to a GIT provider during signup.